Artists House Indie Music Christmas Compilation is Here! Artists House website just released it’s Christmas Community Compilation! In the spirit of the season (and full disclosure) – yes, I am on it, but so are a lot of other cool indie bands, and I’m so excited to be a part of this holiday compilation. Special, special thanks and praise for Andrew Goodrich of Artist’s House for putting this compilation together, and helping to build the indie music community. Creating a Vision Board for your and/or your band’s musical goals is a powerful way to set your musical intentions for the next year. As today is the Winter Solstice (the longest night of the year), ancient civilizations believed that it is a powerful day for planting “spiritual seeds” as they waited for the Sun (and Spring) to return, but you can make a Vision Board any day of the year! If you’ve read or seen The Secret, or you’re into the Law of Attraction, you’ve probably heard about Vision Boards by now. But if you haven’t, I’m happy to share my how-to’s! Also known as a Treasure Map, it’s basically a collage of pictures and words that represent your goals. 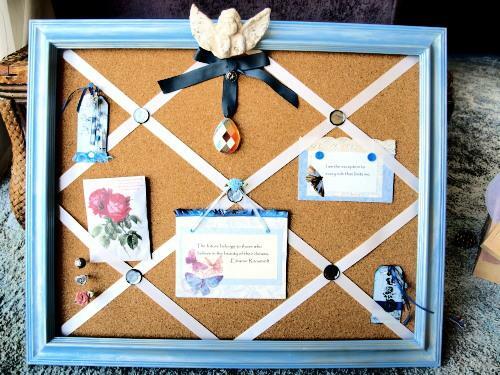 The purpose of a Vision Board is to inspire you, and keep you on track. If you have a band, this can be be a fun project to complete together. One way is to get a stack of old magazines, and cut out pictures and captions that represent your goal. Another way is to go to Google Images and flickr and search to your heart’s content. Print out pictures and sentences that are meaningful to you. Be sure to include pictures of yourself and your band! on poster board, or a bulletin board. You can also use a sketchbook or scrapbook if you like. on her living room wall, which I thought was a nice touch. The cliche is true: Out of sight, out of mind! 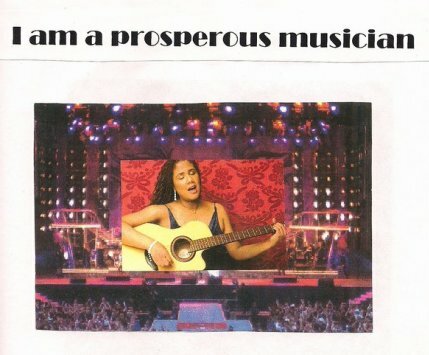 Another idea that I learned from musician Luna Jade is to create a Vision Board on your computer desktop. This is a great way to keep your vision within sight! Here are some of the pics from my Vision Board. If you’re handy with Photoshop, you can also do cool things like put your band’s photo on the cover of Rolling Stone! Obviously, my focus here is music, but you can also create Vision Boards for your personal life, for other goals like taking a great vacation, and meeting your Soulmate. If you have kids (or not), this is also a fun project that you can do as a family. 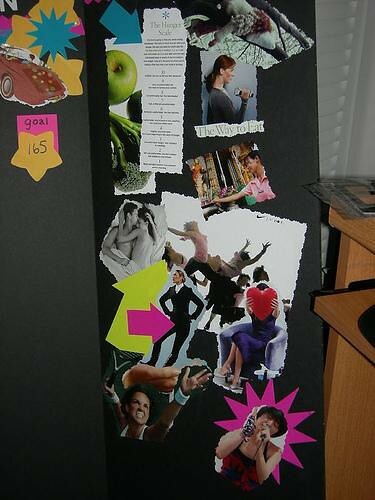 Be as creative as you want, and have fun with your Vision Board! It is beyond cool that Egyirba won the $25 cash, as she entered the blog contest a number of times, which gave her the highest probability of winning 😉 Egyirba blogged about the contest, and signed up for my newsletter, The Soulflower. She even stumbled one of my articles, which may have been the first time, but hopefully not the last, that that has happened! Egyirba is also a creative artiste, so she will also get a feature in Rock Star Life Lessons next month, so stay tuned! I want to thank everyone who also entered the blog contest, as I was worried that no one would. I learned a lot from this experience, and I look forward to holding more blog contests in the future – with bigger and better prizes! 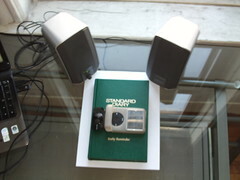 How to Record an MP3 Holiday Song with a Laptop: Quick & Dirty Style! When you want to record a “quick and dirty” holiday MP3 for your fans, the first thing you need to do is look at the means that are already and easily available to you. If you have the time, of course you can always write a song, and then upload it with whatever technology you have around you. If you have the creativity and the means to make a video like Space Zombie Christmas, knock yourself out! My HP laptop has a Sound Recorder option available in the Accessories section, so at the very least, I could record an a capella track if I wanted. which would be a bit of waste. 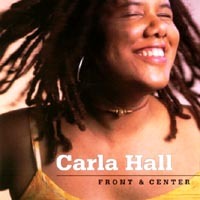 Through a tip I learned from an opera singer, turns out that you can buy ONLY the track you want for $1.00 at iTunes. Very cool. It’s also important for me to mention that these holiday tracks are for PROMO ONLY, and will not be for sale. That would be a violation of the copyright of the Karaoke Band’s recording, which is a BIG NO-NO! If I get any cease and desist letters, I’ll remove the songs with the quickness, so get your holiday MP3s now! My first step was to choose the song. 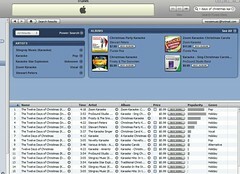 I started by entering “christmas karaoke” into the iTunes search. 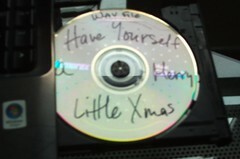 So I purchased “Have Yourself a Merry Little Christmas” from iTunes. 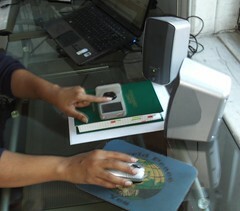 To record the song, I played the song, using iTunes. By placing a headphone mic between my voice and my laptop speakers, I experimented with the distances in order to get a decent live “mix” recorded by my laptop’s Sound Recorder. After finally recording a take that I liked, I played it back in my iPod headphones. The track sounded okay, but it felt like something was missing, as if the song was stuck inside the track, and the holiday joy didn’t quite come across. 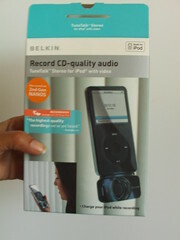 Then I remembered that I had purchased an iPod voice memo gadget ages ago, also known as the Belkin TuneTalk Stereo. I had yet to use it, but now seemed like a good opportunity to figure it out! By adding this gadget to my iPod, I’m now a bit more dangerous! 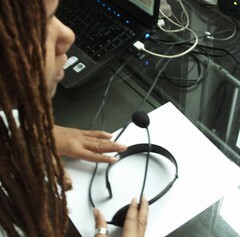 It took a few tries to get the recording together from a technical standpoint. 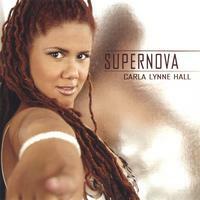 I had to trigger iTunes to play the track with my right hand, and record the vocals using my left hand on the iPod. And I had to remember to click all the gadgets in the correct order. This time I liked the live sound of the recording a lot. I sang a few more versions until I was finally satisfied enough to relieve my neighbors of the misery caused by hearing the same Christmas song over and over at 2am in the morning. Then I burned the track to a CD. Since the CD contains a .WAV file, I then had to rip it into MP3 form. 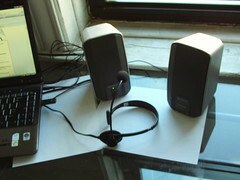 Since I still don’t know how to do that using a computer, I used my secret weapon: my standalone KLH CDR-2000 MP3 Recorder. I placed the CD-Rom with the .WAV file on the left side, and a blank CD-Rom on the right side. Then I clicked the buttons that convert the .wav file to into MP3: Voila! The MP3 is ready! After the MP3 was burned to a CD-Rom, I then saved it to my hard drive, and uploaded it to my You Send It account so I could share it with you lovely people. 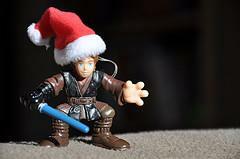 Enjoy my holiday MP3s below! Like any good Rock Star, I blame this on my publicist. I hate when musicians apologize onstage before they even start playing, so I will not apologize for any recording imperfections, glaring or otherwise. Enjoy my tracks for the love offered. The Great Give Back 2008!!! You still have until December 18th to enter to win $25 cool cash! It might not sound like a lot now, but it will surely come in handy for the person who gets it via PayPal on December 19th! It’s a token of my gratitude for all the readers who have supported my first year at this URL, also known as my new “home on the web”. Ariel Hyatt Publicity is sponsoring it’s first holiday fundraiser, and I’m very excited to raise money for The Songs of Love Foundation, an organization that I’ve worked with for a few years. Songs of Love provides personalized songs for children with chronic and life-threatening illnesses, providing the medicine of music. Jason Bradford who runs Tone Box Digital says that I’m the loudest person to make a push for his company to win this contest. It’s probably true, but I truly believe in what he’s doing for indie musicians. You have until December 31st, and it just takes a click! Tone Box Digital, the online music label run by Jason Bradford, has made it to the TOP 5 finalists of WIRED Magazine’s Small Business Contest, and I want to help him WIN. In my opinion Jason’s nomination is awesome for a couple of reasons: A) Tone Box Digital is the only music company listed, and B) Tone Box Digital is the “smallest” company of the five finalists. While it’s an honor for Tone Box to even be nominated, I would like to help him win the whole enchilada. By rallying the die-hard indie music fans, I know we can do this. 1. A win for Tone Box Digital would not just be for him alone, but for any indie artist that dares to go up against a major label artist. 2. Tone Box Digital is a company that helps indie artists market and sell their music, and if he wins, indie artists will also win because it is further proof that indie musicians can make a living from their music. 3. PLUS, it would just be really cool! I recently interviewed Jason, who’s also a musician, and l was impressed with his mission to empower the artists on his label, Tone Box Digital. If you believe in indie music, please go to Wired.com’s Small Biz contest page and vote for Tone Box Digital. It only takes a click. Voting ends December 31, 2008 at 12:00am. 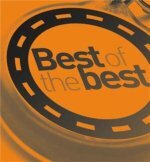 I’ll be selecting one random winner to receive a $30 gift card from Amazon, iTunes or Starbucks– Your Choice!!! All you have to do is tell me where you posted the info! Twitter, Facebook, Myspace, your blog, your website— that’s it! Just pass it on!!! Use the wall to tell me where you posted it and you are entered to win!!! If you believe in indie music, vote for Tone Box Digital by December 31st, and help empower indie musicians everywhere! Tone Box Digital Intro from jason bradford on Vimeo. To learn more about Jason Bradford and Tone Box Digital, read the Rock Star Life Lessons interview! I recently interviewed Jason Bradford, musician and owner of Tone Box Digital, an online music label, and l was impressed with his mission to empower his artists. 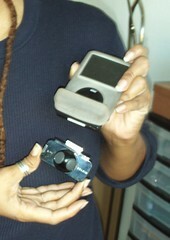 Indie Artists, Musicians, Bands, please go to Wired.com’s Small Biz contest page and vote for Tone Box Digital. It only takes a click. Voting ends December 31, 2008 at 12:00am. 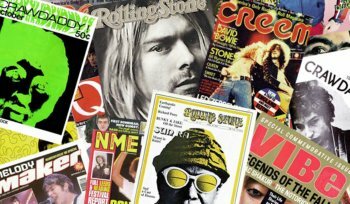 Rock Star Life Lessons:You recently received attention from Wired Magazine for Tonebox Digital, your indie record label/distribution service. What is that about, and what was it like to be recognized for that? RSLL: How does Tonebox Digital differ from the old school music business model? JB: Our model is pretty simple. We make sure that no matter what, the artists makes more money than anyone in the chain (the chain consists of artist/label/distributor/service). We partner with artists and get them placement in all the major online sales outlets then help them connect with bloggers, social media sites, music review sites, podcasters and any other outlet we can manage to find. We also do everything online. We do not print physical CDs nor to we promote to traditional radio…However, our artists may do these things on their own and we advise/consult on placement but normally do not go that route unless we have a proven artist/music piece to work with. The word “label” can be misleading because I feel like we are more of a partner to the artists and what they are trying to do. RSLL: How did you decide to start a label? JB: I had dreams of running a major label one day… I went to school and got a Music Business degree and knew that I would work at a label one day. The funny thing is that I never worked at a label besides my own. I’ve been told that’s a bad thing because I “needed” that experience but I can tell you that I’m glad I didn’t. It’s been fun building my own thought process of what the music business should look like and I know that I haven’t fallen into any traps that the traditional or big labels would have “taught” me. RSLL:Why did you decide to go digital? JB: It was simple for me. 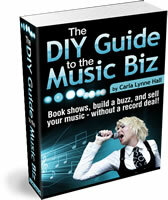 I was an early adopter for buying music online and knew that there had to be a way to get indie artists out there. This was in the early 2000’s… by 2003 I was prepping Tone Box and by 2004 one of my artists had spent over $100K trying the traditional model (photo shoots, lots of CDs, clothes, video, radio promotion). It wasn’t fun- even though he had backers, I wanted it to work! I immediately started thinking there has to be a better way. I started working with another band and we spent less the $5K on the record put it out digitally and starting making money right away. They went on to sign a bigger deal but had the credibility from the stuff I did with them. That was two different artists with two different approaches and you see which one worked. I’ve been full on digital since then. 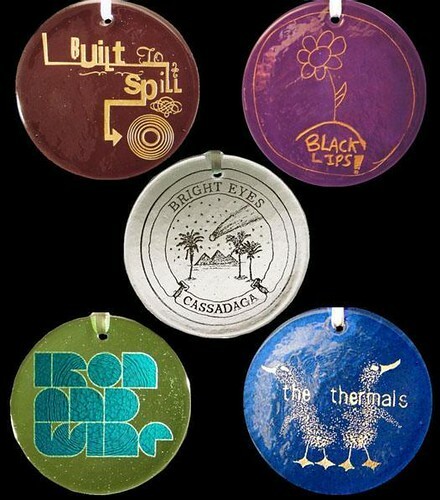 Thanks to a tip from Pitchfork (via Artists House), I learned about Oregon’s Glass Caster Union offering up its second year of indie rock themed holiday ornaments, featuring bands like Built to Spill, Bright Eyes, and Iron and Wine. I found this to be a cool idea that any band can use to treat their fans to a special treat during the holiday season. While you don’t have to use glass like the Glass Casters Union, you can use other materials to create one-of-a-kind holiday ornaments for your fans. * Laminate or place photo within full sheet clear Avery labels. There are places online – tons – where prints are 8 cents per print for 4×6 prints. I don’t mean the gimmicky holiday cards, just straight photo prints that you can write on the back of. If you take the photos yourself, you’re making a custom gift with personal involvement AND saving a ton of money over regular holiday cards. Use free photo editing software like Photoshop Express (understanding that there are intellectual property issues with it, like giving up some rights, but for holiday cards, who cares?) and make some cheap yet thoughtful holiday greetings. I’m going to try my hand at holiday ornaments this year, and I’d love to see pics of any bands out there who make their own holiday ornaments or greeting cards. Send pics to moxiemaven64 [AT] gmail [DOT] com, and I’ll post them on the site! 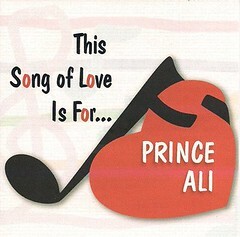 For my second song written for Songs of Love, I paired up again with Carl Allocco to write this tune for Prince Ali, “an amazing 7 year old boy”. 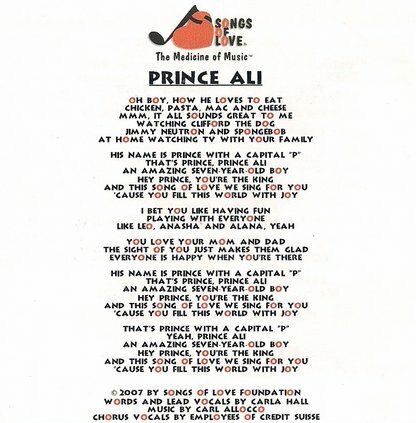 This song also became another singalong at Credit Suisse, an investment bank in New York City.